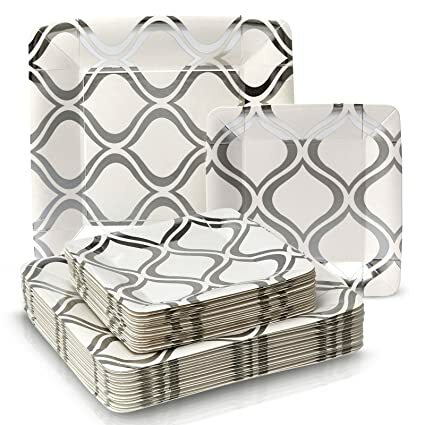 Amazon – Party Disposable 36pc Dinnerware Sets (Heavy Duty Paper) just $10.78 – $13.50! PESACH! 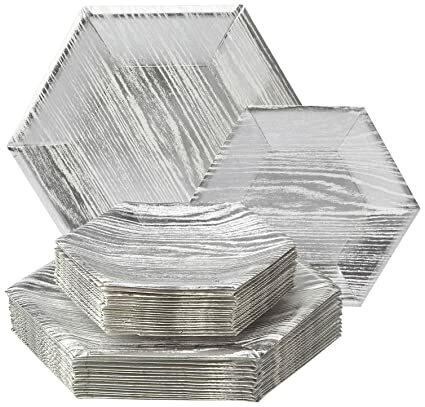 I’ve posted a lot of plastic disposables, but if you prefer paper, these sets went on SALE today on Amazon! These are gorgeous and budget-friendly! Perfect for PESACH! 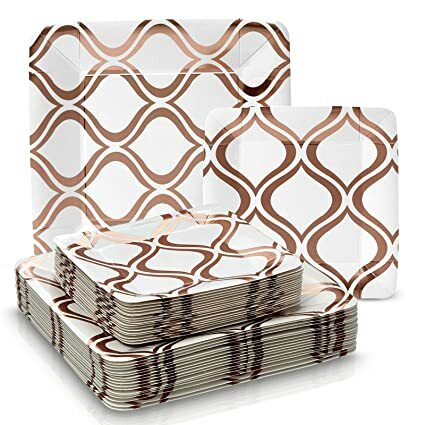 PARTY DISPOSABLE 36 PC DINNERWARE SET | 18 Dinner Plates | 18 Salad or Dessert Plates | Heavy Duty Paper Plates | for Upscale Wedding and Dining | Square Metallic Rose – Moroccan Collection just $10.78! In Gold or Silver for just $13.50! 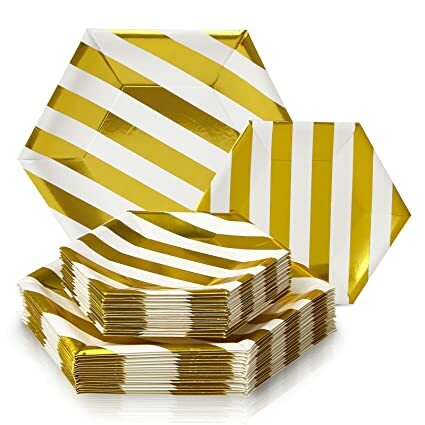 ELEGANT DISPOSABLE DINNERWARE SET | 18 Dinner Plates | 18 Side Plates | Heavy Duty Disposable Plates | Hexagon Design | for Upscale Wedding and Dining (Stripe Collection – White/Gold) just $13.49! 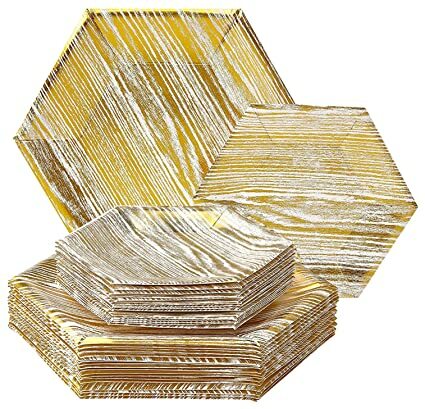 PARTY DISPOSABLE 36 PC DINNERWARE SET | 18 Dinner Plates | 18 Salad or Dessert Plates | Heavy Duty Paper Plates | Hexagon Wood Design | for Upscale Wedding and Dining (Wood Collection) in Gold, Rose or Silver just $13.50!